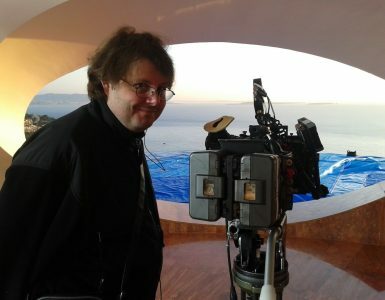 Joe Ayella is a graduate of New York Film Academy’s short-term filmmaking workshop in Portugal. 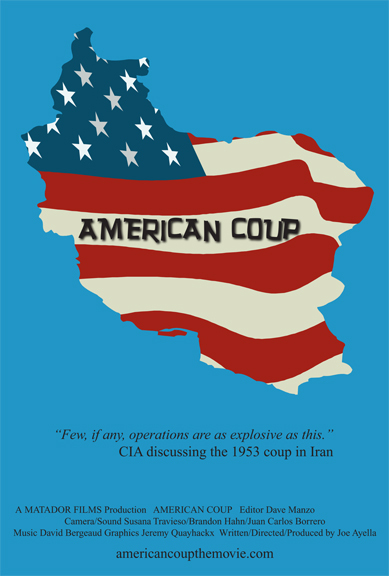 His documentary American Coup tells the story of the 1953 coup carried out by the CIA to topple the popular Iranian Prime Minister Mohammad Mossadegh. The film is a mix of rare archival footage and stills and interviews with Middle East experts, historians, and authors. Among the many interviewees are Stephen Kinzer (author, All The Shah’s Men), Prof. Ervand Abrahamian of Baruch College, Trita Parsi, Ph.D., Col. Lawrence Wilkerson, Nuclear Expert Joe Cirincione Amb. Bruce Laingen, Amb. John Limbert, Rep. Ron Paul of Texas, and legendary newsman Ted Koppel. Stand-up comic Maz Jobrani (Axis of Evil Comedy Tour) also makes an appearance. Check out what Joe had to say about his film…. Originally, I had intended to expand upon the short film about the Holocaust that I had made while studying at NYFA in Porto, Portugal. But, logistically, that proved challenging as some of my Portuguese classmates who I had hoped to use for my crew for my set-in-Portugal story weren’t available due to scheduling and other issues. I had long been fascinated with the story of the first coup ever carried out by the CIA – Iran, 1953 – so, a couple of years ago when there was talk during the Bush years of the possibility of a military strike against Iran, I decided to explore that event. When I realized that not all that much had been done on the subject in terms of film, I thought it would make for a good documentary. Hence, American Coup was conceived which I think is a timely film given everything that is happening in the Middle East at the present time. Not many people know, especially in the United States, that Iran had a democracy back in 1953, and that the CIA went in and – along with the British – carried out a coup to get rid of Iran’s popular prime minister, Mohammad Mossadegh, and to back the Shah of Iran. The Shah then ruled in an increasingly despotic manner until he was overthrown 25 years later during the Islamic Revolution. That revolution had a strong anti-American cast to it because its leaders remembered the events of 1953, and that the US had supported and armed the Shah for the next 25 years against the wishes of the people. What were some of the production challenges you faced? Probably the biggest production challenge I faced was just the historic nature of the seminal event at the heart of American Coup. How to bring the story alive. So I had to hire good, experienced archival researchers to help me find the best footage and stills of the time period. 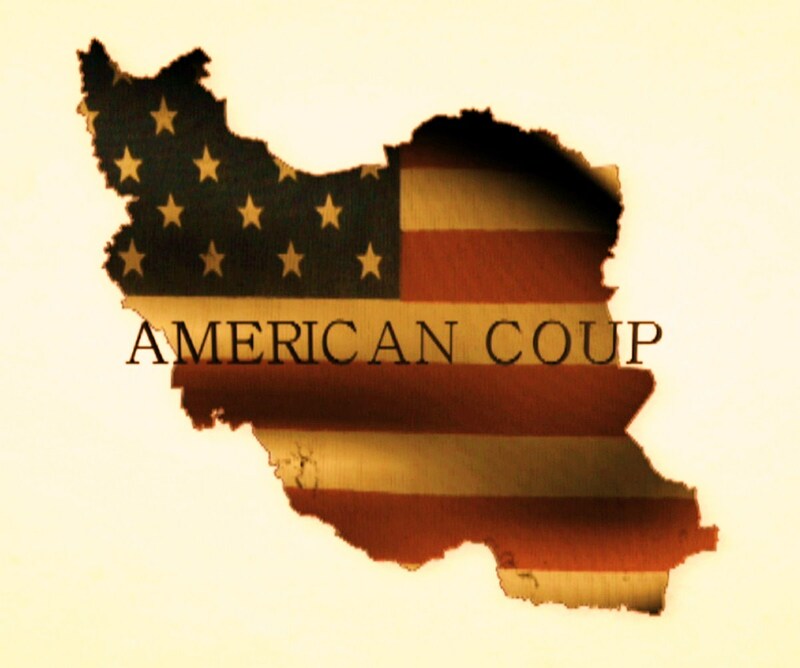 But I also wanted to bring the story up to date and to show the lingering effects of the coup on the current US-Iranian relationship. So I did a little section on the 1979 Hostage Crisis, which many Americans are familiar with but not with the underlying reason behind it: during the Islamic Revolution, Iranian students took Americans hostage because they feared another coup by the CIA. So that section of the film required the additional gathering of archival material. And then I finished the film with some words about the issues dividing the US and Iran today for maximum resonance with today’s audiences. I think my training at NYFA helped me in that I had gained experience in doing a short film about the Second World War and the Holocaust, which involved the same sorts of challenges – doing the research, locating archival material, finding people today with the relevant knowledge to tell the story, etc. And, of course, in just the ins and outs of filmmaking in general, my NYFA training came in quite handily. Where has the finished film screened? American Coup screened a couple of months ago at IDFA, the big, wonderful documentary film festival in Amsterdam, and at the Starz Denver Film Festival, another terrific festival, where I got to meet a lot of great filmmakers. As a result of appearances at those festivals, programmers at other film festivals have requested my film for screening so the film may well screen elsewhere. 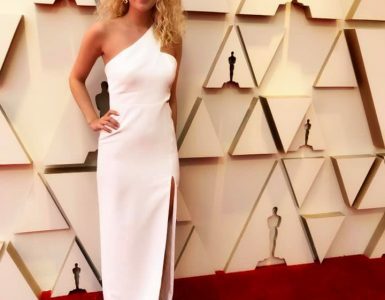 In addition, Mercury Media out of London is representing the film and hoping to bring a slightly shorter version into various TV markets around the world.